An electrifying novel from the Carnegie medal-winning Kevin Brooks. Now a Netflix movie starring Maisie Williams (Game of Thrones). Because now Tom has powers. The ability to know and see more than he could ever imagine. And with incredible power comes knowledge - and a choice. Seek revenge on the violent gangs that rule his estate and assaulted his friend Lucy, or keep quiet? Tom has control when everything else is out of control. But it's a dangerous price to pay. And the consequences are terrifying. . .
Kevin Brooks is the award-winning author of nine gripping teenage novels, usually with a thrilling detective twist. His novels, Being, Black Rabbit Summer, Killing God (published as Dawn in the USA) and Naked are also available from Penguin. Kevin's brand new novel, The Bunker Diary, will be published in 2013. 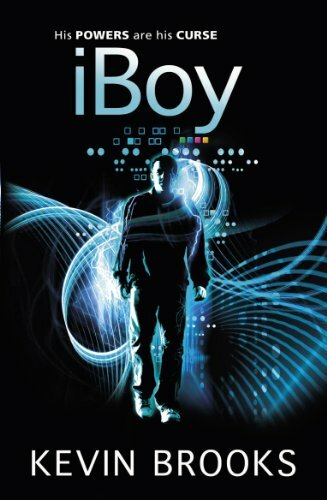 If you enjoyed iBoy and want to get inside more of your favourite books, then check out spinebreakers.co.uk for exclusive author interviews, competitions, and much more.